The Union of European Football Associations (UEFA) hosts the annual Champions League tournament, comprised of the top soccer teams in Europe. The 2018-19 tournament is the 64th annual tournament. The qualifying rounds were held during the summer of 2018. The group stage, featuring 32 teams competing in 8 groups, began on September 18, 2018 and completed in December 2018 with the winners advancing to the knock-out round of 16, which concluded in March 2019. The 8 winning teams advanced to the quarter-finals, which will be played in April 2019. The semi-finals will be played April 30, May 1, and May 7-8, 2019. The championship match will be on Saturday, June 1, 2019 at at the Wanda Metropolitano in Madrid, Spain. 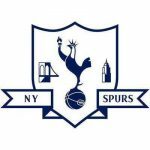 In our continuous efforts to “connect the fun to the fun people, here is our special page for Champions League Viewing in NYC. New York Sky Blues (BTC Manchester City Supporters Club) watch at Amity Hall in Greenwich Village. Named for one of the owners, retired Liverpool soccer star Jamie Carragher. 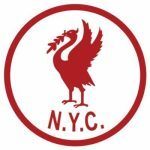 Liverpool Supporters Club of NY is based at 11th St. Bar, with other bars throughout the city serving as satellite bars. 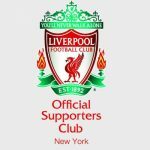 Welcomes the Liverpool Supporters Club of NY.